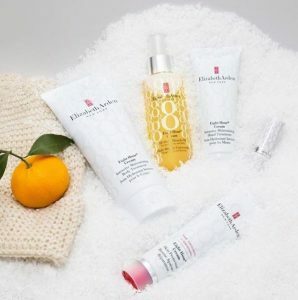 With summer around the corner, most of us tend to neglect our beauty routine because of the persistent heat and dreadful stickiness. At the Duke Shopping Mall, with the help of House of Beauty, we’ve got you covered. Have a look at the below tips and make use of them in order to achieve a wonderful complexion all summer long. – Apply cream. House of Beauty offers you a range of ideal creams to give your skin a complete fresh look which lasts 8 hours! Reference to such a cream is the Elizabeth Arden Eight Hour Cream. – Use a foundation that will both brighten your face but also helps moisturize your skin. 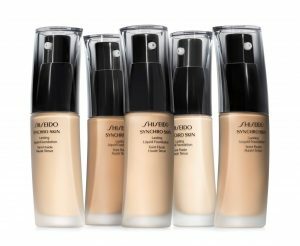 Shiseido’s Synchro Skin foundation is the product you need, synchronization with skin, bright and brilliant glow. – Apply compact powder/bronzer to smoothen your foundation. This will help with the hot weather and keep your skin shining. Reference to such a compact powder is the Elizabeth Arden Beautiful Color Bronzing Duo. – Use a mascara to sublimate the look. Let’s face it during summer it is too hot to put too much makeup on the eyes, but a simple touch of mascara will help your effortless look. Reference to a great mascara is Elizabeth Arden’s Beautiful Color Grand Entrance Mascara. – Finally to finish in style, red lips! 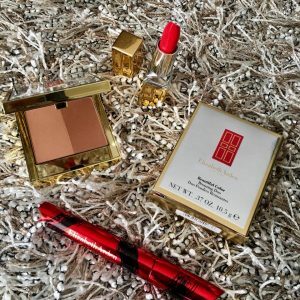 Reference to a great lipstick is Elizabeth Arden Beautiful Color Moisturizing Lipstick. You can find all these products and many more at House of Beauty withing the Duke Shopping Mall. Stay tuned to our website and our social networks for the latest tips and offers ! Major brands have started presenting the new spring summer 2019 collection. We did our research and want to share with our clients, some of the major trends to look out for during the upcoming seasons. The 3rd issue of The Duke Magazine, ‘Seasons at The Duke’ is out. The autumn issue covers the major trends of this season and the activities happening at The Duke. We urge you to visit our stores to see the beautiful trends available!